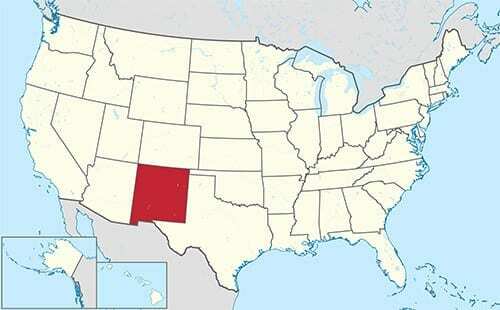 New Mexico offers residents and visitors several gambling options. There are many tribal casinos, most of which have dedicated poker rooms, and there is a state lottery and bingo. NM is also a pioneer in the US sports betting movement. In the state statutes there is no wording that explicitly forbids residents of New Mexico from gambling online and there are many sportsbooks, racebooks, poker rooms and casinos on the net, which have a ton of betting options in a very wide variety of stakes. Most all of the top betting sites online today accept wagers from United States residents. Although New Mexico has not officially legalized sports betting, certain tribal casinos started taking bets on sport a few months after the US Supreme Court overturned the Professional and Amateur Sports Protection Act in May 2018. This is allowed under a compact with the state that gives American Indian tribes the right to engage in “any sports betting and pari-mutuel wagering” permitted by federal law. While is it perfectly legal to place sports bets at Indian casinos, there is no legislation that expressly allows or forbids online gambling of any variety. With no regulated local options, gamblers in New Mexico must take their business to offshore betting sites. Considering there are many good sportsbooks online today it is advantageous to do some homework first in order to choose the best one. The best one is not only the most popular one, but the one that will fulfill your sports betting needs and give you all the options you want. Most sportsbooks are legit and have good player security and you can read reviews on books and contact their customer service department to get this information. Some other very important things that you need to look for in a solid sportsbook is many sports that have lines and many bets to make, a variety of banking options, 24/7 customer service with Live Chat, and bonuses and promotions. In terms of bonuses and promotions some are very lucrative, as the books offer them to entice players. However, you should be aware that they have gambling requirements in order to get them and you need to make sure you can meet them so you can be sure to receive the bonus. Here are three solid online sportsbooks that will accept sports wagers from U.S. residents. BetOnline.ag – This reputable sportsbook is popular and it should be, as they offer it all to their players. In the things mentioned above in what a good sportsbook should have BetOnline.ag has them all and more. On top of their great sportsbook they also have a poker room and casino, which has Live Dealer games. Sportsbetting.ag – This book is just like BetOnline.ag having it all and they should since they are their parent company. They have all the sports and the wagers on them and Live Betting and mobile betting are also available. Live Chat, you got it, as they also have some great bonuses and both deposit and withdrawal options. Xbet.ag – This solid sportsbook not only has what any good book should have they offer a ton of sports betting info as well. The site is packed full of info and sleek yet still easy to navigate. From tons of bet types and sports with lines to bonuses and 24/7 support Xbet.ag does it right when it comes to online sportsbooks. New Mexico has rich history when it comes to horse racing and there are many tracks in the state. Some of the bigger tracks include Ruidoso Downs Racetrack, Sunray Racecourse, Sunland Park Raceway and Downs at Albuquerque. Ruidoso Downs and Sunland Park were both established in 1959 and at the state tracks there are many races to wager on and many wager types to make. Residents also have the choice to play the horses online with the many racebooks on the Net today. They offer many races from the bigger tracks in the U.S. and around the world, so there are always races to bet on. On top of that they offer more wager types as well. There is poker at some of the tribal casinos and there are poker rooms in the state, but not a significant amount. With the games and tables somewhat limited in the wide-open state of New Mexico there are many poker gambling options online. There is no lack of poker rooms, which are legitimate, online and they have all the different poker variations as well as a wide variety of stakes. Also, the poker rooms online offer tournaments all the time where winners can win entry in a land-based poker tournament event. Tribal casinos were granted in New Mexico in 1995 after failing to do so five years earlier after failing to make a deal with the tribes in the state. The horse racing in the state is overseen by the New Mexico Racing Commission and the New Mexico Horse Breeders’ Association, which was established back in 1961, oversees the breeders and horse owners when it comes to quarter horses and thoroughbred horses. In New Mexico state law Section 30-19.2 simply says making a bet is a form of gambling and while illegal states it is a petty misdemeanor. Ireland's new gambling regulator will address previously unpoliced areas such as spread betting.